Assumption College is proud of its long boarding tradition. 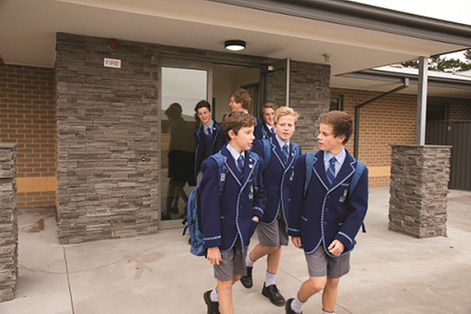 The first boarders were enrolled in 1901, girls were accepted into the boarding community in 1995 and three new boarding houses were opened in 2014. Each house accommodates 24 boarders — senior students have their own rooms, while juniors twin share. The rooms are bright, warm and comfortable with desks, king single beds, wardrobes and storage areas. Each house has a kitchen, dining room, recreation area and wi-fi access. Boarders are encouraged to make their spaces their own by pinning up posters and bringing knick-knacks from home. As a Catholic school, we have a responsibility to help meet the spiritual needs of our boarders. Sunday Mass is celebrated in either the chapel or with the parishioners of St Patrick’s, Kilmore, and there is regular prayer in the houses and reflections in the chapel. 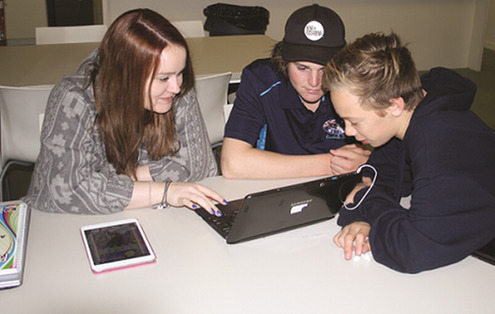 Supervised study is an integral part of boarding life, and staff ensure that the two to three hours of study each weeknight are used effectively. Our teachers are available for one-on-one, after-school tutoring and the library is open until 6.15pm Monday to Thursday. Boarders’ healthcare needs are well catered for. There is an excellent local hospital, a doctor visits regularly and a nurse is on duty from 8.30 am to 5 pm, Monday to Friday. Counsellors are available and we have a clinical psychologist, a speech pathologist and an occupational therapist on site. Our dedicated chefs prepare nutritious, well-balanced and plentiful meals using fresh ingredients, and vegetarian and gluten free options are available. Boarders are encouraged to actively participate in our extensive cultural and sporting co-curricular programs and regular social activities. Education is a partnership between parents and guardians and the college, so we encourage regular contact between parents, guardians and supervisors. We are committed to creating a family atmosphere within our boarding houses where all are welcome, and where we strive to engender in our students a sense of belonging so theyfeel secure and cared for. Boarders have been calling Assumption College Kilmore their home away from home since the start of the 20th century. We hope to continue that tradition for many years to come.